2.7.0.1 More pictures on Instagram. Follow my page on Facebook. 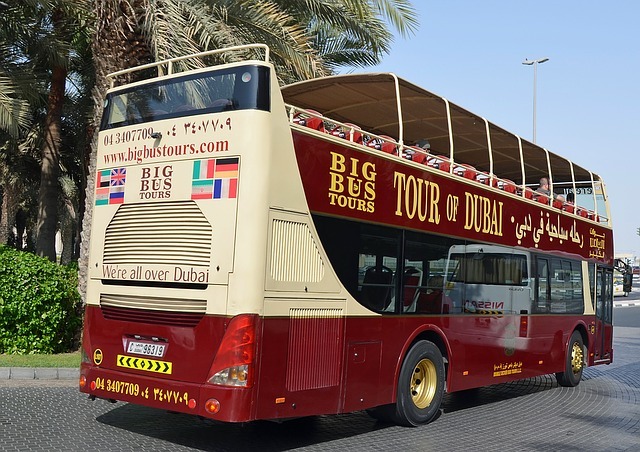 Find out about the Big Bus Tours in Dubai: Are they worth the money? What to do you get for your money? Hop-on and hop-off bus tour by Big Bus. An honest review if it is worth the money. People in Dubai perceive their public transport to be quite excellent, but actually, I am not a big fan of it. Although the metro is spotlessly clean (and women have their own compartment which is quite handy), it lacks more stops. This means that, if you wish to reach a destination and you are close to the metro, you might still have to walk quite long distances. Taking a taxi all the time, sometimes I was by myself, was also not the only option, so it was clear to me that I will get again, as I did at many other places, a Hop-On Hop-Off tour in Dubai (read my review for the hop-on and Hop-Off Tour in Hong Kong here and for Stockholm here). Several companies offer sightseeing tours where you can hop on and hop off from buses, one of the companies is the Big Bus company, which is to find all over the world, and which I enjoy using. If you are wondering about the different routes, advantages and disadvantages using the sightseeing buses you just have to scroll down to find out more. To be honest, I di not see many differences between the tour operators and think, they are the same – though different 🙂 The options and offers do not vary much. The double-decker buses (they are not red actually, but brownish and yellow) allow you to sit upstairs and enjoy a panorama view (open roof) or downstairs and have air-conditioners (super important for summer in Dubai). There are pre-recorded commentary in 12 languages and three different routes (+several smaller routes) and you can get headphones from the bus driver. What options does Big Bus Dubai offer? How much does a Big Bus tour in Dubai cost? How many hours can I use a ticket for a bus tour? Where can I book a Big Bus sightseeing tour? I got the 48 hour Hop On and Hop Off Tour, including the night tour, which was about 332 AED (about 90€), I did not buy it online. There are three different routes which you can use all – the red line, the green line, and the blue line. Click here to find the best rates. Which routes are available for Hop On and Hop Off tours? Where do the buses stop? As mentioned above there are 3 routes for the Hop On Hop Off tour (plus an extra Pink Tour and a Night Tour). All tourist attraction are actually covered (except the Miracle Garden in Dubai) and you pass Burj Al-Arab, Atlantis – The Palm, Dubai Mall, Dubai Fountain, Mall of Emirates, Burj Khalifa, The Walk at JBR and many more. One is the City Tour (Red Tour), it goes to Dubai Creek and Dubai Downtown, which is around Dubai Mall and Burj Khalifa. There are many stops to get off and also explore Dubai Creek. 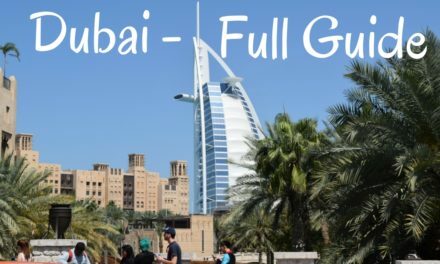 I really liked this line because I got to see more parts of Dubai Downtown which I had not seen before and if I had more time I would have loved to hop-off to visit Dubai´s souks (especially the spice and gold market). The first tour at 8:50 am, and last bus leaves at 6 pm. Another is the Beach Tour (Green Tour), which I personally liked the least. Although it is called “beach”, you don’t really see much off the beach (except at when the bus stops at Jumeirah Open Beach where you have a nice view on Burj Al-Arab actually). Yes, you can hop off and go to the beach, but it’s not a nice ride, or at least not as much as I hope it would be. On the other hand, what I like about the green line is that it goes to the Dubai Palm, though it doesn’t do the full tour. 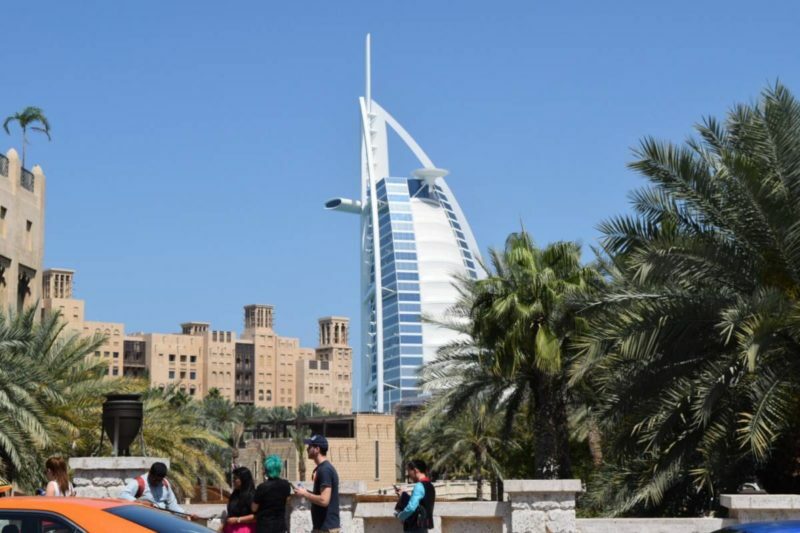 There’s an extra bus once or twice a day which does a full tour of the Palm, but it does at least go to Atlantis the Palm where you can take pictures of the world renowned hotel, and then it goes back, and you can hop-on on the Marina tour there. The First tour starts at 9 am, and the last tour starts at 6 pm. The Marina tour (Blue Tour) is actually my most favorite. It shows you the Marina path, which is my most favorite part of Dubai. It has a lot of stops there and starts from Mall of Emirates (last stop is Souk Madinat). The first tour starts at 8:50 am, and the last tour starts at 6 pm. There is another route, which I have not tested out, though. Flamingo Lagoon Discovery (Pink Route). I also enjoyed the Night Tour a lot, though, I once more noticed that Dubai is still under construction. 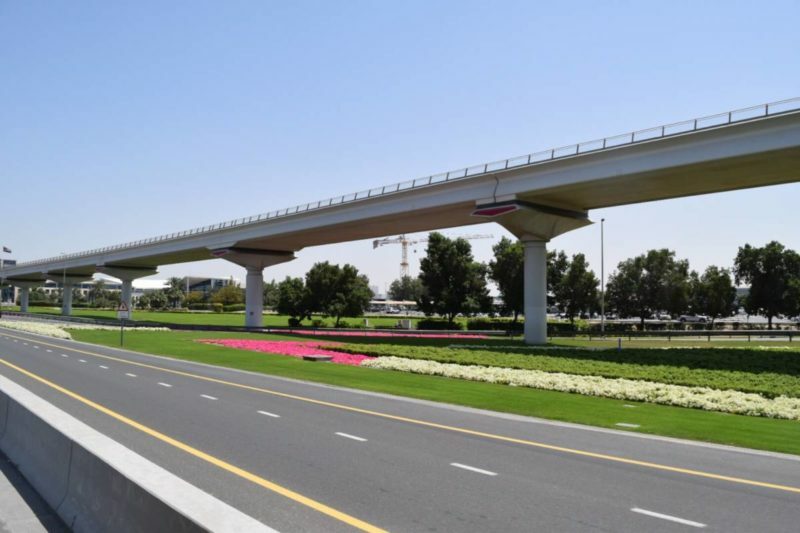 This became even more obvious at night and compared to other metropolises it still has a long way to go to compete with places like New York or Hong Kong – the skyline of Dubai is not that amazing yet. Book Your Ticket for a Hop-on and Hop-off Bus Ticket Here. There are more tours than those four I have mentioned above: Like the desert sunset tours, which I haven’t experienced, Palm Island Drive, which I didn’t have enough time for, Flamingo Lagoon Discovery (Pink Route), Abu Dhabi City Shuttle (but you have to get the extra bus ticket for Abu Dhabi, which costs extra and is not available with all tickets). an 1-hour long Dhow cruise (traditional wooden Arab boat), free entry to ten museums (e.g. Dubai Museum), entry to the Lost Chambers Aquarium, Ambassador Lagoon at Atlantis the Palm, and more. There are also numerous walking tours which, however, are not year round since there are sometimes unavailable (in summer). This, however, is in the 2 days ticket, for the 24-hour ticket, not all extras are available. Bottled water is offered as a free inclusion with your ticket. Big Bus offer free wifi in the buses, however, in almost every second bus it did not work for whatever reasons. I asked the bus driver about the issue and it was said that there are such problems with some buses. 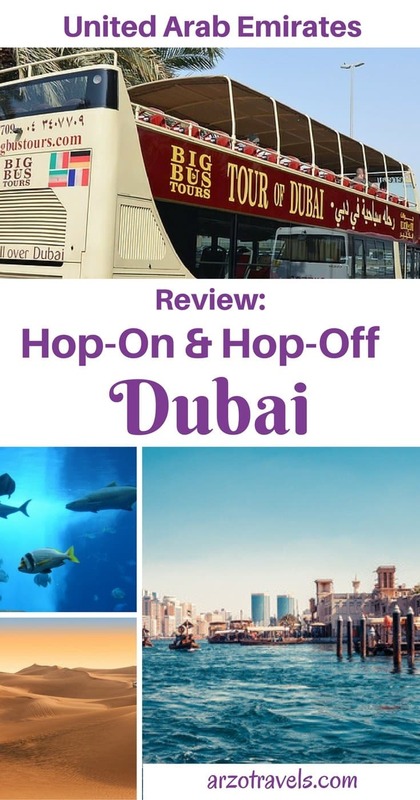 After using Hop-on and Hop-off buses in Dubai for 48 hours, I can say that the Hop-on Hop-off Tour is pretty expensive, especially compared to the prices in other cities. However, I must say, that I personally think the hop-on and hop-off buses in Dubai were worth the money. Most likely, because the public transport is not as good yet and the metro stops are very spread out. It is a great way to do sightseeing in Dubai and to get out at those places that are interesting to you. I can already say, that I would not get a ticket for the 24-hour tour because I think that it is not worth it. 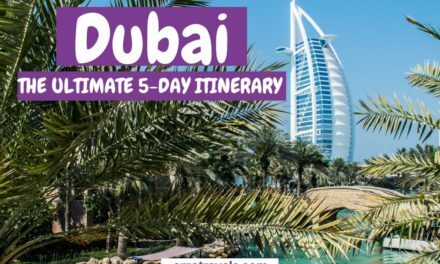 Dubai has so much to offer and for 24 hours, especially if you are 2-4 persons, I would rather consider taking a taxi, unless if you want to do all the free inclusions (which is almost impossible). 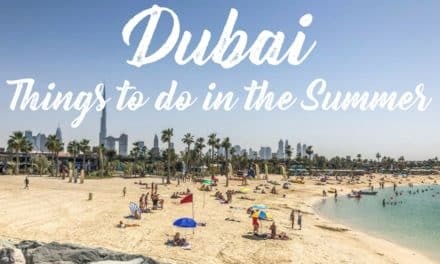 If you have more time in Dubai, get the 5-day and night tour in order to fully enjoy your visit and do as much as possible. Get your ticket here. Nonetheless, in some places like Hong Kong, I would probably discourage availing the services of the Hop-On Hop-Off tour, since they have a great public transport system there. If you are a solo traveler, or perhaps two people, and you want to explore everything and take advantage of the Desert Tour, which is not the same as a real desert tour (read about my unforgettable desert trip), or if you want to visit museums, the Hop-On Hop-Off Tour is definitely a great idea, because the public transport won’t take you everywhere, it still includes a lot of walking. You can discover interesting information. Also, I’ve never listened to such beautiful music while I was on the bus, in which it has astounding Arabic music. The Red and the Blue Tour were my favorites, and thus, I would absolutely recommend them. Though a 24-hour ticket probably is not worth it, I enjoyed my tour – given the fact that Dubai´s public transport is not perfect. Disclaimer: This post contains affiliate links, it means I might earn a small commission when you buy a product/or service via my link (at no extra cost to you). More about it here. Looking for accommodation in Dubai?